When using titles and names like Dr. and Aunt or Uncle, understand when to use the capital letters. 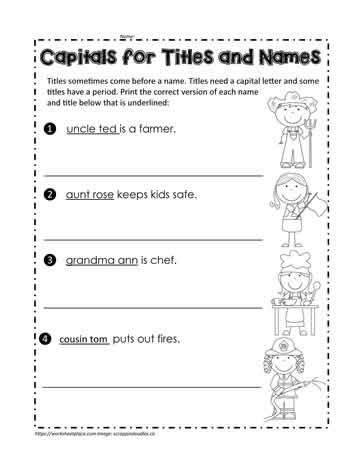 1st and 2nd grade capital letter worksheets. Teaching ideas for capital letters or upper case letters.